Reimagining the Army’s logistics enterprise resource planning systems. If the Army could start over today, it would not choose to design the enterprise resource planning (ERP) system landscape as it exists now. It would not seek systems designed to serve one specific function and siloed based on functionality; hardware, software, governance and budgets would not be decentralized; business intelligence would not be scattered across dozens of data warehouses; contractors would not hold intellectual property hostage; and governance and change management processes would not lead to wait times measured in years. Of course, there is no starting over. Our Army—the world’s most powerful land force—is engaged in more than 120 countries. More than 1 million Soldiers must be equipped and more than 800,000 pieces of equipment must be procured or maintained—and all synchronized in a way that generates sustainable readiness. This cannot be achieved without essential functions currently executed or managed within three ERPs: the Logistics Modernization Program (LMP), the Global Combat Support System – Army (GCSS-A) and the General Fund Enterprise Business System (GFEBS). An organization uses an ERP system to execute and integrate the core functions (e.g., finance, logistics, procurement and human resources) of its mission. However, continuing with the status quo is not a realistic option, either. As the Army’s top leaders have identified, several factors make it paramount that savings be harvested from every corner of the Army. Two factors in particular—the relentless requirement for Army engagement on every continent and the requirement to modernize or replace several of the Army’s “Big Six” weapon system fleets concurrently—are compelling everyone from the secretary of the Army on down to identify opportunities for savings. While Army leaders seek savings from every budget line, it makes sense to look closely at its billion-dollar ERP landscape. It is not too late to put the Army on a path to a rationalized, more effective, less expensive way to run its business. It is not too late to bring powerful new technologies to bear to free precious resources, allowing the Army to focus on its core competency of preparing for combat. But this renaissance in Army logistics will require help from the Army’s acquisition professionals to procure the expertise to manage, sustain and modernize its ERPs in a different way. The Army needs to shift from buying capacity to buying outcomes; from gatekeeping to enabling users; and from decentralized, competing priorities to a unified mission focus through the support of its acquisition leaders. The Army has made great progress over the past 10 years in the transition from dozens of standardized management information systems and home-grown systems to its current landscape of seven ERPs. And access is in the right hands: One or more ERPs are represented in every supply room, motor pool and orderly room—not to mention every headquarters from company to corps. Logistics ERPs have undoubtedly improved Army effectiveness. LMP permits visibility and management of national-level stock and organic industrial base production down to the shop floor. GCSS-A integrates all unit-level supply and maintenance transactions into a single system. GFEBS replaced more than 80 legacy systems and standardizes financial, asset and accounting data across all three Army components—active, Reserve and National Guard. (See Figure 1.) Most desired core ERP functionalities have been fielded and are in sustainment mode, except Army aviation, which is scheduled for GCSS-A Increment II. But even in sustainment, costs have ballooned. Different program offices operate each ERP. Years of customizing core functionalities and of decentralized hardware and software strategies have made ERP integration efforts costly and have spawned integration applications such as the Army Enterprise Systems Integration Program Hub and Logistics Information Warehouse. Most troubling is user communities’ real or perceived lack of return on investment. 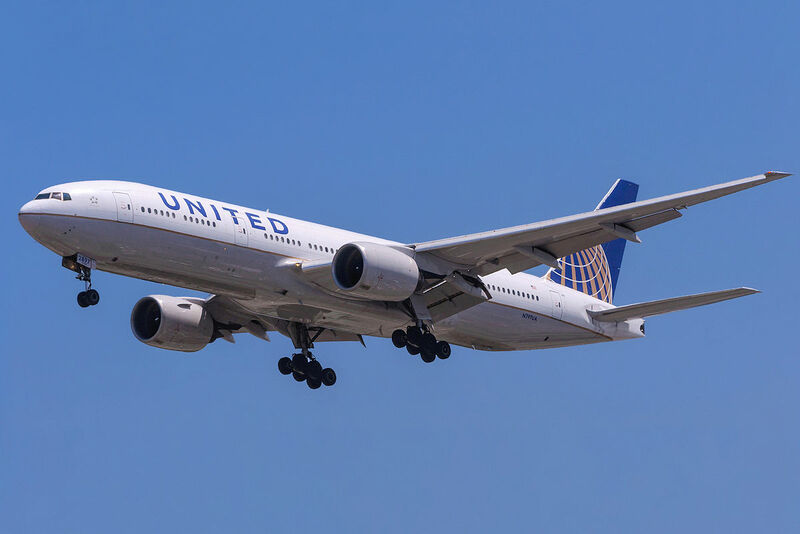 Some users complain of lengthy requirements-gathering sessions with multiple rounds of prioritization and approval, followed by extended wait times (six to 12 months) for low-complexity change requests. Often they discover that requirements have been misinterpreted when enhancements are finally delivered. Governed and funded by a single entity. User-centric, with an architecture that maximizes self-service. Able to rapidly respond to change and introduce new functionality. Scalable—up or down—for both infrastructure and services. Acquired as an outcome-based managed service. Transforming the Army’s disparate ERPs into an enterprise with these characteristics will be hard, but it can be achieved with three major efforts: Consolidate ERP sustainment; consolidate business intelligence and analytics; and finally, collapse different ERPs into a unified ERP. The U.S. Army Communications-Electronics Command’s (CECOM) Software Engineering Center is spearheading the initial steps toward the first effort. CECOM recently announced plans to explore consolidating sustainment across its ERP portfolio. We applaud leaders for taking these steps but suggest they prepare for an even bolder one. Additional centralization between core ERP sustainment (owned by CECOM) and modernization efforts (owned by the assistant secretary of the Army for acquisition, logistics and technology) would make it easier for Army leaders to prioritize between investments in current versus future capabilities—and help fully optimize life cycle management of the Army’s logistics systems. Acquisition professionals can readily see benefits of this consolidation, including improved visibility into requirements and better buying power that can drive cost savings. Also, the ability to prioritize spending across a larger pool of requirements, using combined resources, will ensure that the most impactful requirements are addressed—not just the top priority for a slice of the enterprise. Further, ERP support service contracts should shift away from buying capacity to buying outcomes. When requirements are not well-defined, using multi-award indefinite delivery, indefinite quantity contracts or blanket purchase agreement-like strategies can help mitigate risk to the Army. By leveraging these acquisition vehicles, the Army can award more highly targeted and smaller task orders to a handful of pre-qualified vendors. Task orders could take the shape of firm fixed-price contracts for specified outcomes, shifting the risk to vendors and allowing the vendor and the Army to share the benefits of rapid and efficient delivery. The wide-scale deployment of ERPs enabled organizations to harvest mass amounts of data to enhance their decision-making processes, a process commonly referred to as business intelligence. In the early years of ERPs, business intelligence development relied on a few technical experts working with key “super users” to gather requirements and then build and deploy reports. The process was slow and often not scalable (i.e., replicable on a larger scale). The inability to deliver these capabilities efficiently on a large scale led to an emphasis on extreme consensus, through prioritization across multiple organizations. In contrast, in the private sector, today’s self-service analytics technologies have all but eliminated the need for “super users,” report developers and redundant data marts. Instead, ordinary users are empowered to create their own reports and conduct their own analytics through intuitive self-service applications like Tableau and Qlik. To unlock the same outcomes in the Army, ERP sustainment organizations and program offices must get out of the report-generating business. They need to shift the responsibility for analytics and report-creation away from centralized information technology (IT) organizations to actual users. They should invest in self-service analytics tools and grant regular users access to data. Then, to make these changes permanent, they should eliminate budgets for report development and decommission local data marts. Having completed the transformative steps of consolidating sustainment and democratizing business intelligence and making it available for everyone to access, regardless of background or position, the Army can proceed toward the most significant step of modernizing its ERP landscape: collapsing siloed functions and user bases into a single, unified ERP. Skeptics of such a consolidation will cite organization-specific complexities and unique Army requirements. However, transitions like this happen every day in industry. Companies as diverse as food and beverage and clothing sales have successfully consolidated ERPs after mergers and acquisitions. The bottom line is that the Army’s focus should be on increasing readiness and lethality, not hosting software. For the Army to free up the millions of dollars needed for modernization and sustaining its high operations tempo, it is imperative to find leap-ahead efficiencies; marginal changes will not move the needle. Fortunately, recent advances in secure, cloud-based computing and storage are allowing industry and U.S. intelligence agencies to unlock tremendous savings in operating costs, while also having access to cutting-edge applications in the cloud. Of course, for the Army, more than savings is at stake: Near-peer adversaries are seeking every opportunity to achieve parity with the U.S. in any domain. “One of the surest ways for our Army to ensure ‘IT overmatch’ is to get into the cloud,” as retired Lt. Gen. Susan Lawrence, former Army chief information officer/G-6 who now leads the Army and Air Force portfolio within Accenture Federal Services’ national security practice, said recently. The Army should seize the opportunity for overmatch and plan for its unified logistics ERP to operate from the cloud. Beyond the strategic advantages that will accrue, moving away from fixed government data centers to cloud-based managed services will also allow for more precise and efficient ways to pay for what is needed. As the Army’s cloud-based environment automatically scales up or down based on consumption, a “pay by the drink” model will derive costs directly from usage, as opposed to basing them on fixed labor pools and fixed hardware costs. This approach will eliminate the requirement for the Army to plan, program and budget for IT infrastructure procurement, maintenance and refresh. The business economics today are simply different from just a few years ago. Even complex ERP services can now be delivered in a relatively low-risk and cost-effective way, primarily because of the modern capabilities of cloud technology. Unlike the Army’s experience with outsourcing LMP in the 1990s, today the Army can transition ERPs into outcome-based managed services and then change contractors at any time, without fear of losing control of its data or intellectual property. With a few bold decisions, the Army can take advantage of proven technologies, transform its logistics enterprise, improve effectiveness, generate significant savings and liberate resources that can be used to ensure that our Army remains the most feared and respected force on the planet. For more information, contact the authors at james.d.kinkade@accenturefederal.com and jay.m.chung@accenturefederal.com. JIM KINKADE is senior manager for Supply Chain Operations at Accenture Federal Services and leads the company’s Army logistics portfolio. 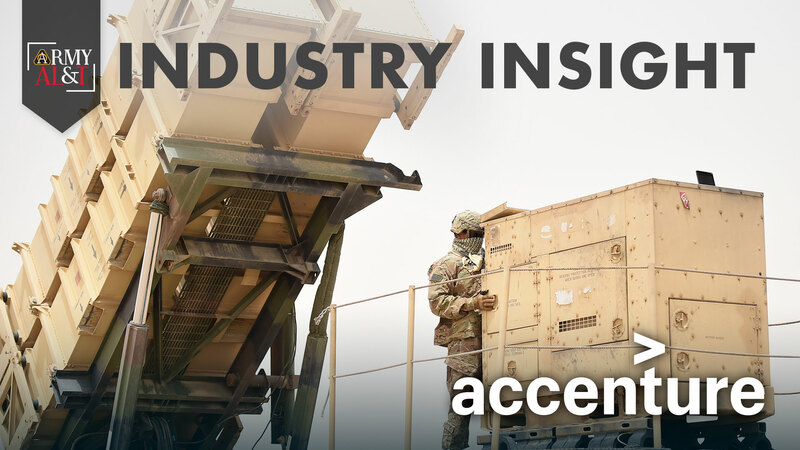 Before joining Accenture, he spent nearly 30 years as an Army logistician and led several large, complex logistics operations, including warehousing, repair and accountability for the Army’s largest pre-positioned combat equipment set and implementation of an innovative, long-term combat equipment storage program. He holds an M.S. in systems management from the Naval Postgraduate School, an M.S. in national resource strategy from the Dwight D. Eisenhower School for National Security and Resource Strategy and a B.S in accounting from the University of Southern California. JAY CHUNG is senior manager for Supply Chain Analytics at Accenture Federal Services. He has more than 15 years of experience working with clients in the defense, industrial manufacturing, consumer goods, retail, and food and beverage sectors to leverage enterprise applications, commercial best practices and analytics to transform their supply chain operations. He holds a B.S. in supply chain management and marketing from the University of Maryland.